As the name implies a wireless systems has no cables. Usually the only hard wired cable is the one going to the external sounder, so if it is not possible to conceal cables, or if to do so would be extremely difficult we would advise this system. 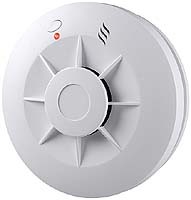 In addition to the sensors and detectors that a hard wired system has, it is possible to turn the alarm system on and off with a key fob that also contains a concealed personal attack button. We can tailor a system that matches your needs, from the colour or shape of the outside bell box to the style and colour of the keypad to match your décor. We have a system that is operated by a small plastic tag that is held up against the control panel to turn it on or off, eliminating the need for a code number or keys, this is particularly useful for the visually impaired. 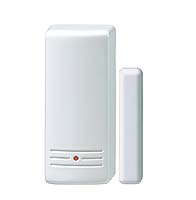 If you require we can get the alarm to call you if it is activated. Whichever system you choose, you can be assured that it will be ultra reliable, as the equipment we use is manufactured by class leading international manufacturers. Ultimately the choice of system is yours, but we will endeavour to assist you by giving you the benefit of our many years of experience.